Value Line, Inc. is an investment research and financial publishing firm. 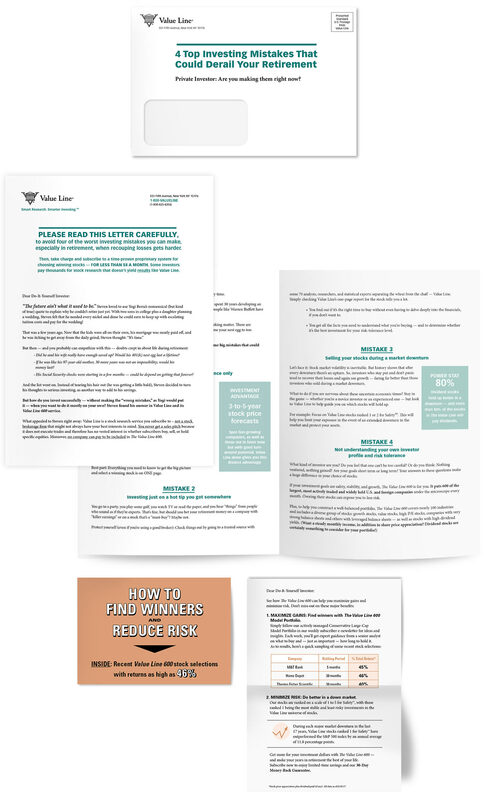 Customers who subscribe to their publications receive a wealth of information to make smart investing choices. PROBLEM: To acquire new subscribers to their Value Line 600 publication. PROCESS: Developing this piece was like revealing a hidden treasure. As with every direct mail job we take on, we started by reviewing the client’s past creatives. After careful analysis, we concluded that the customer did not get a complete picture of all the investment tools that make a subscription to the Value Line 600 so valuable. 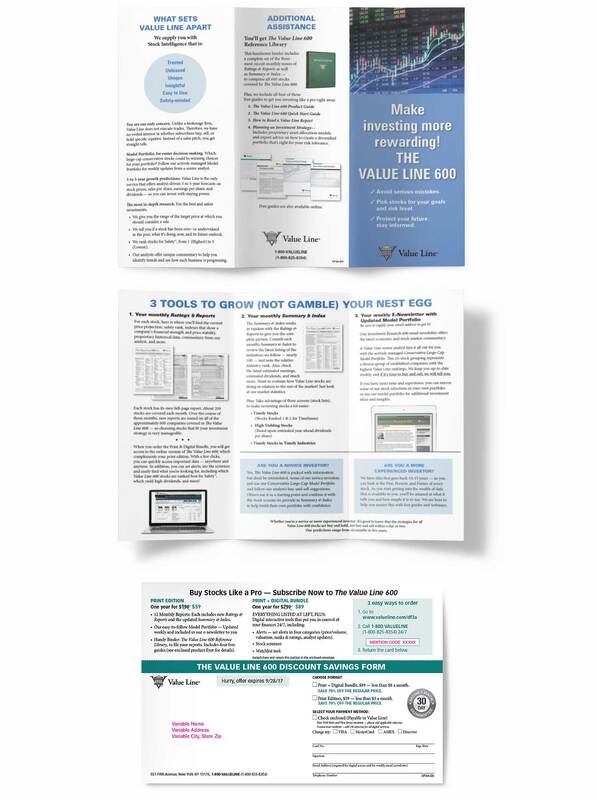 Therefore, we recommended including a component that was missing from Value Line’s previous mailings — a brochure. RESULTS: This new component added tremendous value to the package because we were able to talk out many new details/benefits of Value Line 600 to a potential subscriber. We combined the brochure with a new and stronger outer envelope teaser, a 4-page letter with an engaging new story, and a new lift note to give the package the most pulling power. What happened? We tied control (no mean feat)!